This was so easy to make and everything comes together pretty quickly so it's great for a weeknight meal, if not good enough for company too. To prep for a make ahead meal, you can make the recipe in advance and warm up while you cook the pasta. This makes it easy to have dinner on the table without much effort! 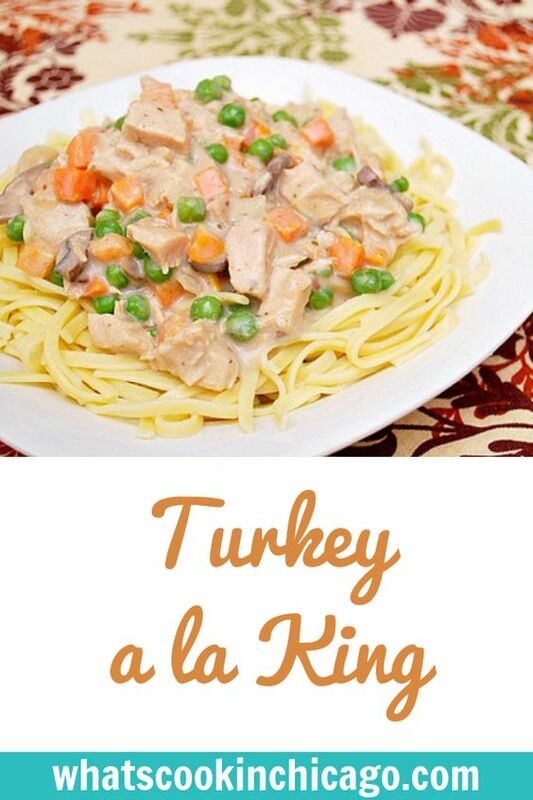 Press SAUTE and add butter, turkey and mushrooms, cooking until mushrooms are tender.. 1-3 minutes. Stir in flour until smooth. Slowly whisk in chicken broth and secure the lid of the IP and ensure the valve is set to SEALING. When the IP beeps after pressure cooking for 8 minutes, allow your IP to naturally release pressure - about 12-15 minutes. While naturally releasing pressure (also known as NPR or NR), the display will reflect numbers counting up from 1. The numbers indicate how many minutes the IP has stopped cooking since it beeped (or how many minutes it has been naturally releasing pressure). No need to touch your IP while it naturally releases pressure. The pin at the top of your IP will drop when all pressure has been released and it's safe to open. 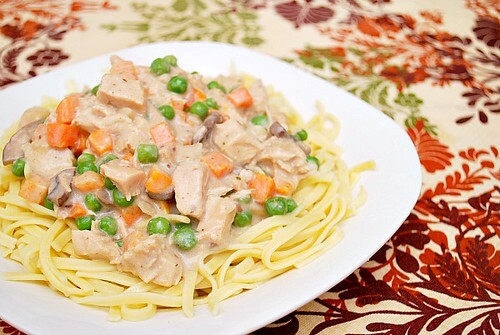 Press SAUTE and stir in cream, peas and carrots; continue to cook until warmed through. Season with salt and pepper and serve over pasta or biscuits.